Dealing with electronics just got easier. 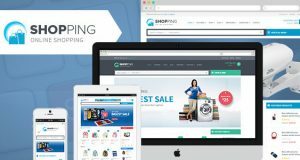 Ensure smooth management and creation of your user-friendly online electronics store website with the aid of our extremely useful themes and win over the hearts of your clients. 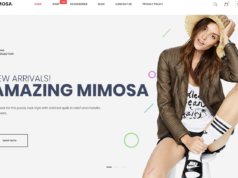 .These 5+ WooCommerce Themes & Templates for Electronic Store are quite easy to use, even for the first timers and can ensure you a steady name in the market with bundle of features. 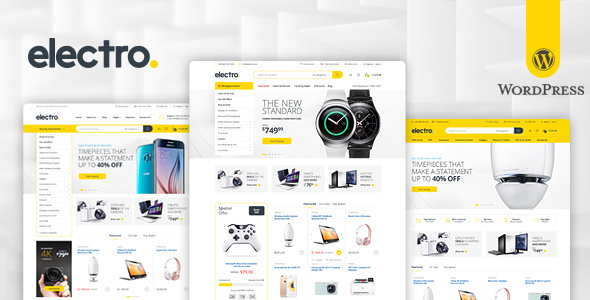 Electro is a robust and flexible WordPress theme, designed to help you make the most out of using WooCommerce to power your online store. The design is well suited for Electronics Store, Vendor based marketplaces, affiliate websites. It is built and comes bundled with most of the advanced features available in most popular eCommerce websites like amazon, flipkart, snapdeal, walmart, alibaba, aliexpress, etc. The theme is built on top of Underscores framework. The code is lean and extensible. This will allow developers to easily add functionality to your side via child theme and/or custom plugin(s). 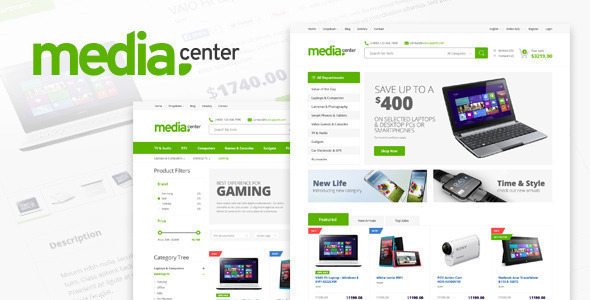 MediaCenter is a clean, modern, user-friendly, responsive and highly customizable WooCommerce theme for Electronics Store, built for especially for your WooCommerce electronics store. The design is well suited for Electronics Store, Vendor based marketplaces, affiliate websites. 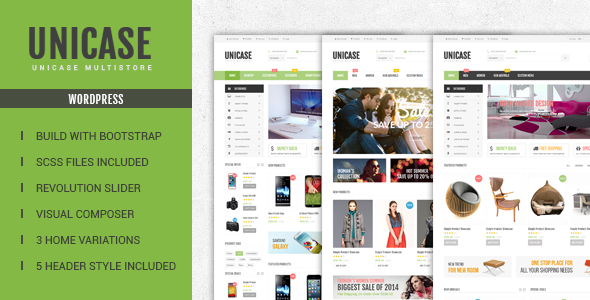 Unicase is a modern and highly customizable WordPress theme designed for Electronics Store, built for your WooCommerce Store. The design is well-suited for Electronics, Fashion and Furniture stores. The theme is built on top of Underscores framework. This will allow developers to easily add functionality to your side and custom plugins. 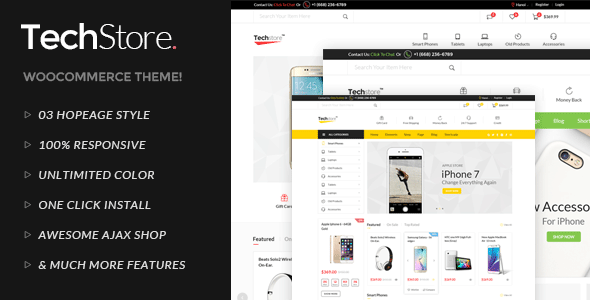 TechStore is a flexible WordPress theme, designed by Lee theme to help you make the most out of using WooCommerce to power your online store. 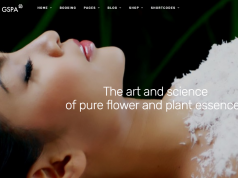 The design is well suited for Electronics Store websites. It is built and comes bundled with most of the advanced features available in most popular eCommerce websites like amazon, Flipkart, snap deal, etc. 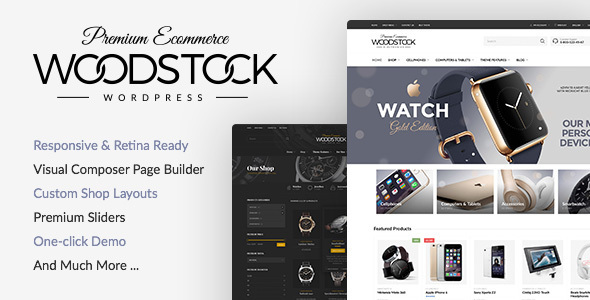 Woodstock is a Modern & Fully ResponsiveRetina-Ready Electronics StoreWoocommerce theme. Woodstock theme is suitable for any kind of shop like cloth, electronics, furniture, accessories, watches or any other. Start your Store right away with Woodstock theme. 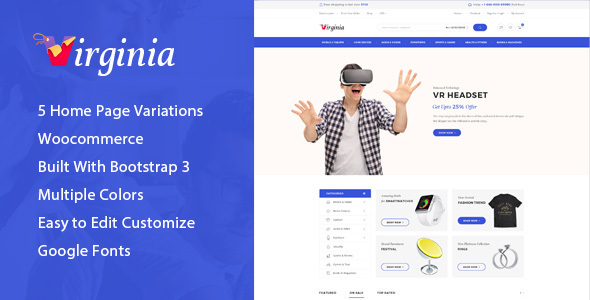 Virginia is a tidy and responsive Electronic WooCommerce theme suitable for any kind of for Electronics Store, Vendor based marketplaces, affiliate or similar websites that need a feature rich and beautiful presence online with flexible design. 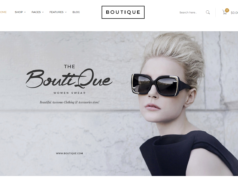 Besides a large number of features, this theme is a perfect template for leaving a positive impression to your customers. 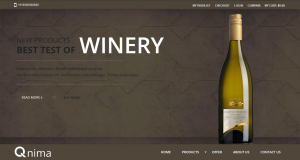 Virginia theme supports you with many great tools to enable the features via using Theme Options, you also can customize Google fonts without code very easy and simple. Finally, every single element of in Virginia is entirely responsive, as content can be viewed from desktop and mobile devices.